Note: This is the bound book only and does not include access to the Enhanced Pearson eText. To order the Enhanced Pearson eText packaged with a bound book, use ISBN 0134403320. 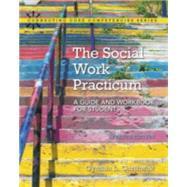 In the new edition of Cynthia Garthwait’s The Social Work Practicum, theory and practice combine to offer a unique format for understanding, structuring, implementing, and evaluating practicum experience at both the BSW and MSW levels. This book provides a structured and yet individualized map for gaining the competencies required of social work professionals. The format integrates theory and practice to walk readers through the process of acquiring knowledge, developing skills, and enhancing social work values, and the unique format provides a solid background for understanding, structuring, implementing, and evaluating practicum experiences at both the BSW and MSW levels. The chapters are sequenced to allow for ongoing professional development, while clarifying expectations for applying knowledge and providing experiential learning opportunities that lead to professional competencies. This edition offers new content on such important topics as professional licensing, organizational communication, planned change process, evaluation of practice, trends in social policy relevant to social work, social problem analysis, social policy formation, and leadership. The Enhanced Pearson eText features embedded video and assessments. Cynthia Garthwait is Professor of Social Work at the University of Montana - School of Social Work, and has 28 years of social work education experience. She has served as Chair and Practicum Director at the University of Montana, in addition to teaching at both the BSW and MSW levels. Having taught across the social work curriculum, Professor Garthwait teaches gerontology, human behavior, addictions, and advanced practice courses. Her research interests include aging, service learning, best practices and spirituality.